Aaron Falk is a financial investigator with the federal police. After twenty years in Melbourne, he returns to Kiewarra, the outback town he grew up in, for the funeral of his former friend, Luke Hadler. Luke’s parents aren’t convinced their son killed his family before turning the gun on himself and ask Falk to investigate. Reluctantly, Falk agrees. He strikes up a friendship with the towns new police Sergeant Raco, who has his own doubts about the deaths. In searching for the truth about Luke’s death, Falk will have to face the secret they’d both been keeping, and deal with old wounds as well as new. The dry starts off with a great hook: the suicide murder committed by Luke as a result of the drought affecting Kiewarra. At the funeral, Falk is clearly seen to be some kind of outcast, and it’s not long before we find out why. He is reunited with old friends and enemies, and the plot quickly thickens, especially when he meets with Sergeant Raco. The characterisation here is brilliant. You aren’t entirely sure whether Luke was a good or a bad person. Did he kill his family? Did he have anything to do with what drove Falk out of Kiewarra all those years ago? Who might have wanted him dead? Can we believe Falk’s version of events concerning the past? The setting itself plays a great role and adds to the heightened tension in the plot. The drought affected town is at breaking point, and that is well conveyed. It also plays a pivotal role towards the end of the novel, which was well written and surprising. 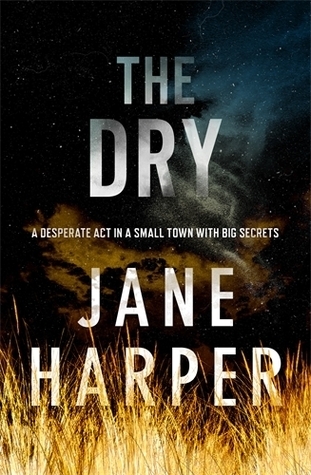 The Dry is a page turner which I managed to read in a single day. There are so many questions and possibilities I just needed to keep reading until i reached the end, which didn’t disappoint. A fantastic read.